What should I do when users are unable to log in because the Pass-cookie restriction is set up? Change the user login Password in order to avoid the unrighteous login action with the user ID/password data already stored in your lost terminal. * Even the entry permission authentication is set up in your lost terminal, the risk of the third party’s unrighteous login action into your terminal can be lowered by changing the login password. 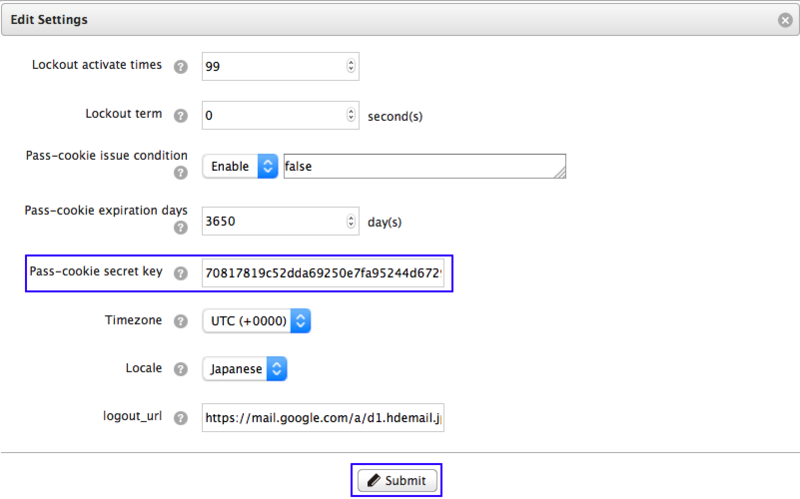 Lapse the currently existing entry permission authentication and create a new one. In this way, the entry permission authentication stored in your lost terminal will become invalid. The entry permission authentication data already input in all of the distributed terminals will become invalid. So, it is required to reset new entry permission authentication onto each of the terminals. 1. 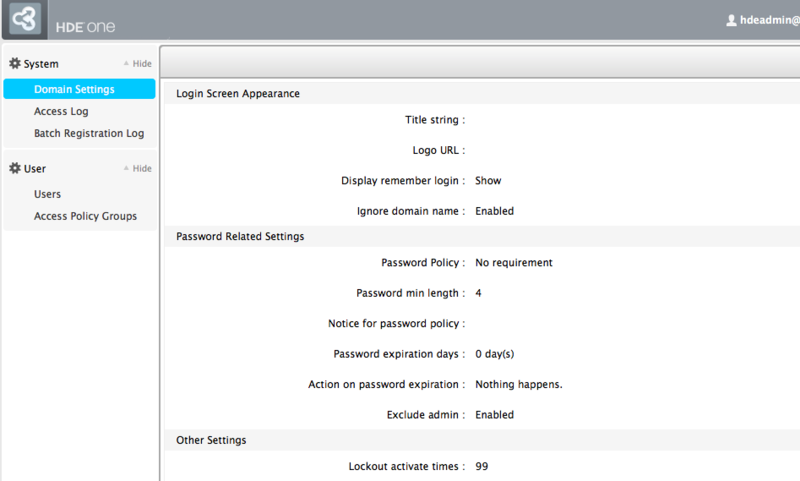 Log in the admin page of access control with administrator privilege. 2. Please click on [System] in the left menu field -> select [Domain Settings]. 4. In [Edit Settings] interface, change the string of [Pass-cookie secret key] and click [Submit] button.